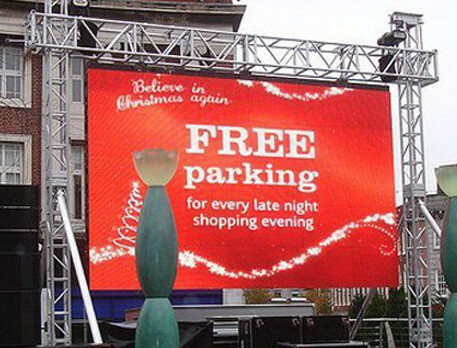 Our LED screens for retail sellers will provide a major boost for your business. Due to their high visibility and efficiency they constitute a perfect starting point for the growth of your business as far as customers, affiliates and income are concerned. Our LED signs are of may sizes so that they will fit perfectly both inside and outside your outbuiidings, be it supermarkets, greengrocers, drug stores, electronic shops, furniture retailers, or any other that deal with the general retail provided by retail sellers.